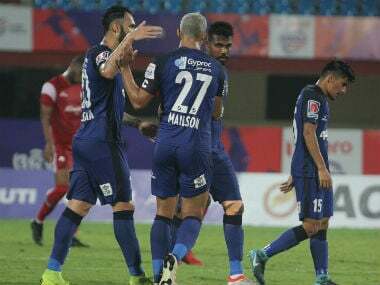 Kolkata: Jamshedpur FC rode on a Trindade Goncalves penalty to prevail over ATK by a solitary goal as the two-time champions failed to snap their losing streak, virtually missing out on a ISL play-off berth, in Kolkata on Sunday. 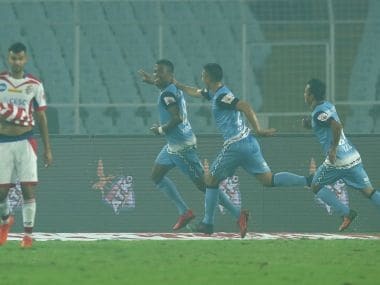 The 21-year-old Brazilian forward took his time and swiftly put it across Debjit Majumder to bring on the decisive goal in the 66th minute in a match in which both the teams squandered plenty of chances. 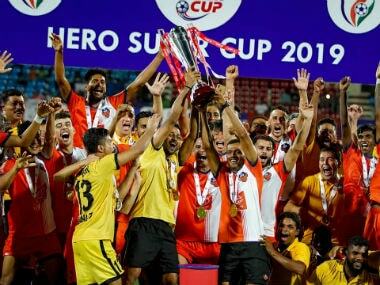 It was Hitesh Sharma who committed the mistake bringing down Trindade with a clumsy tackle that cost them the penalty in the 64th minute as their title defence is all but over. Coming off from a defeat at Pune City, Jamshedpur thus returned to winning ways to be on 19 points from 13 matches as they climbed to fifth place behind FC Goa who are ahead on goal difference. For ATK there was no end to misery as their sixth defeat in row means they remain in eighth position with 12 points from as many matches. Lack of finishing cost ATK dearly as Martin Paterson, David Cotterill and Robin Singh all had their chances but could not convert. They should also give credit to Debjit Majumder who stood tall under the bar to save them from more embarrassment. Jamshedpur clearly looked the better side as they hit the post, snuck past the opponent defence multiple times but to remain goalless till more than an hour. ATK's Paterson came close for his side with a smart run towards the near post to get on the end of David Cotterill's corner. He timed his shot well but the Jamshedpur goalkeeper Subrata Paul showed his agility to deny Paterson. Majumder too made a couple of good saves. In the 45th minute, Wellington Priori had a go from outside the box and forced a smart save from the goalkeeper Majumder. Izu Azuka was at hand to tap the rebound home but only to be adjudged offside in what seemed a tight call from the replays. 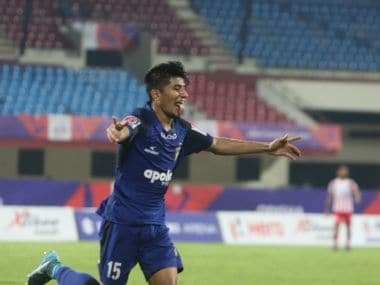 Three minutes later, ATK had a narrow escape when Jerry Mawihmingthanga brilliantly skipped past his marker and sent in a teasing cross into the box but Trindade's right-footed strike rattled the woodwork. In the 56th minute, Trindade's firm header drifted away as Jamshedpur kept putting pressure on a lacklustre ATK. With three of their foreigners — Zequinha, Robbie Keane, Ryan Taylor and yet to recover from injuries — Westwood had four foreigners at his disposal and all of them started. Westwood made three changes in the starting XI who lost to Chennaiyin FC 1-2 in the last match with Hitesh Sharma, Robin Singh and Ashutosh Mehta coming in place of Ryan Taylor, Shankar Sampingiraj and Prabir Das. 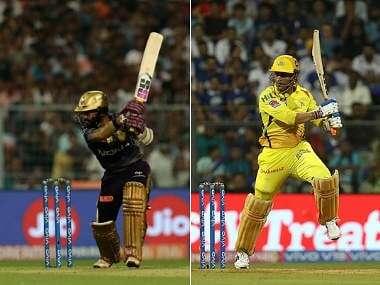 The reverse fixture had ended in a goalless draw.